This is an adjustable baseball cap that will fit most adult-sized heads. 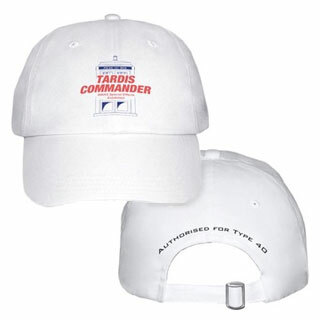 It features the TARDIS Commander logo on the front and details of the time capsules you are authorised to pilot on the back. White brushed cotton with colour print.